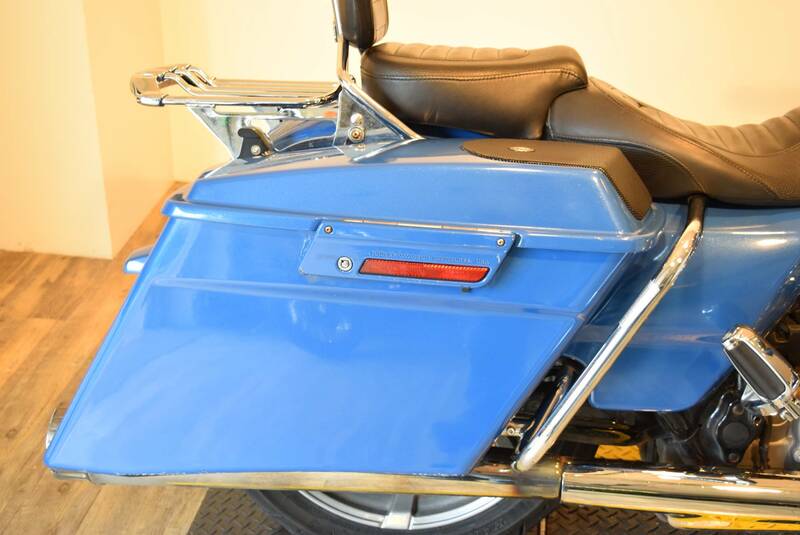 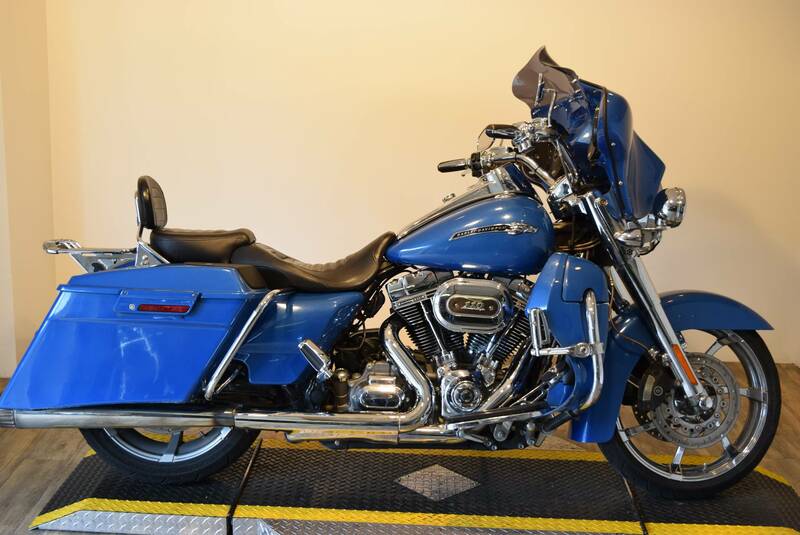 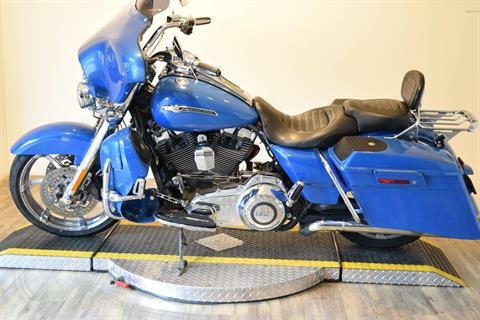 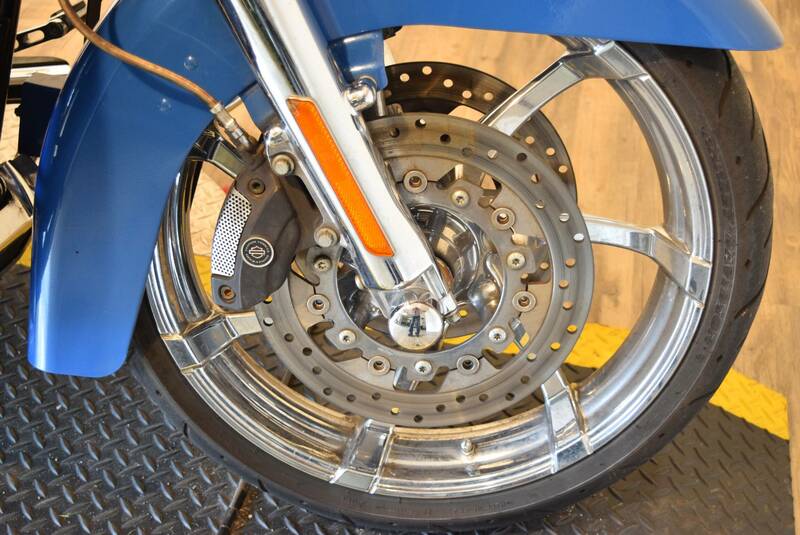 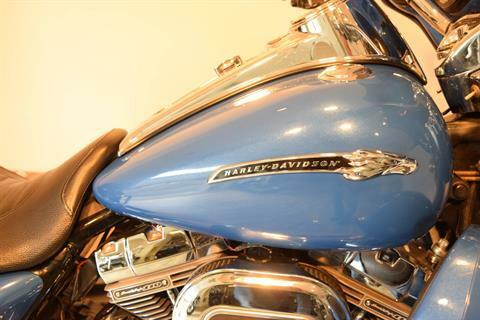 Cruise with class and tour in comfort—brash boom bagger style, sound and plenty of premiums give this light tourer some heavy street swagger. 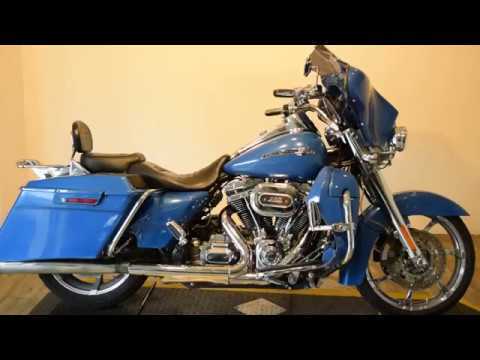 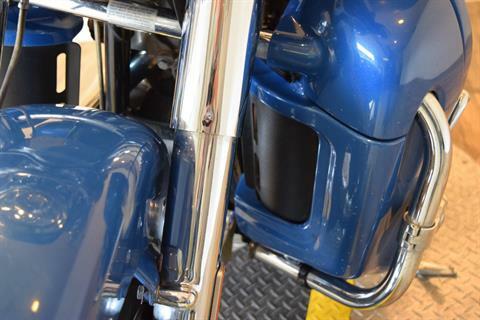 The 2013 Harley-Davidson® CVO™ Road King® FLHRSE5 model is the ultimate hot rod boom bagger. 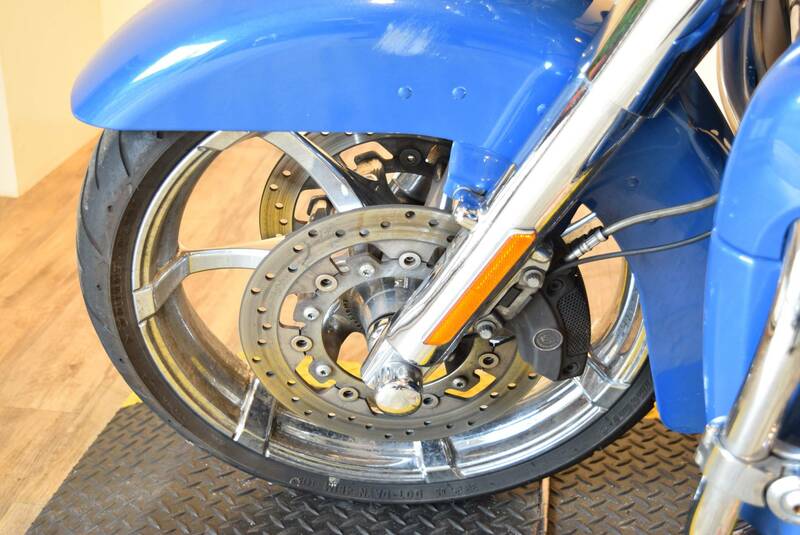 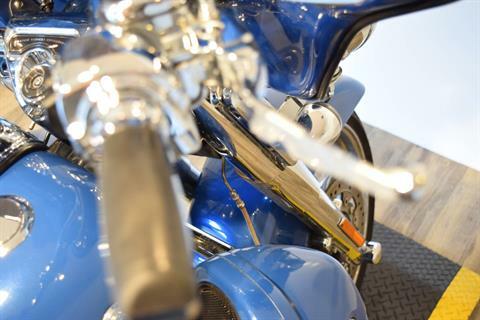 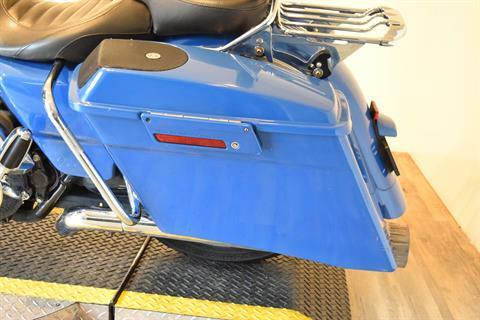 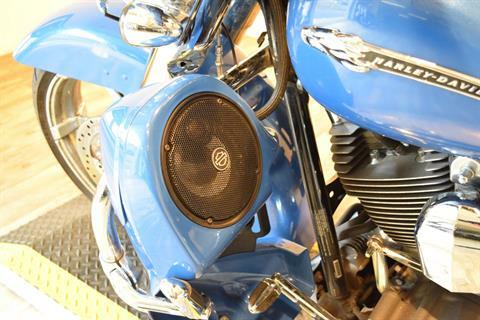 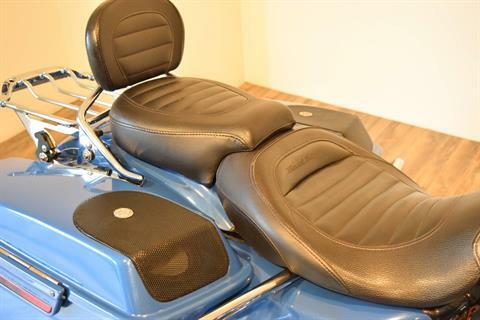 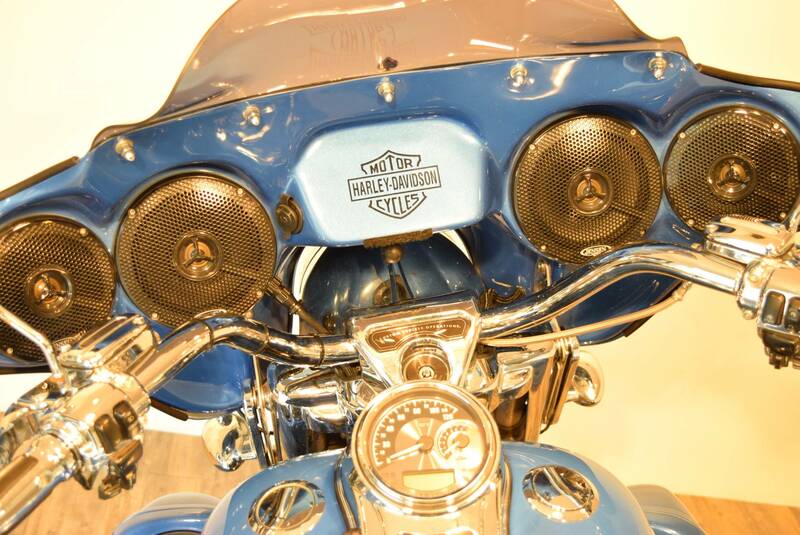 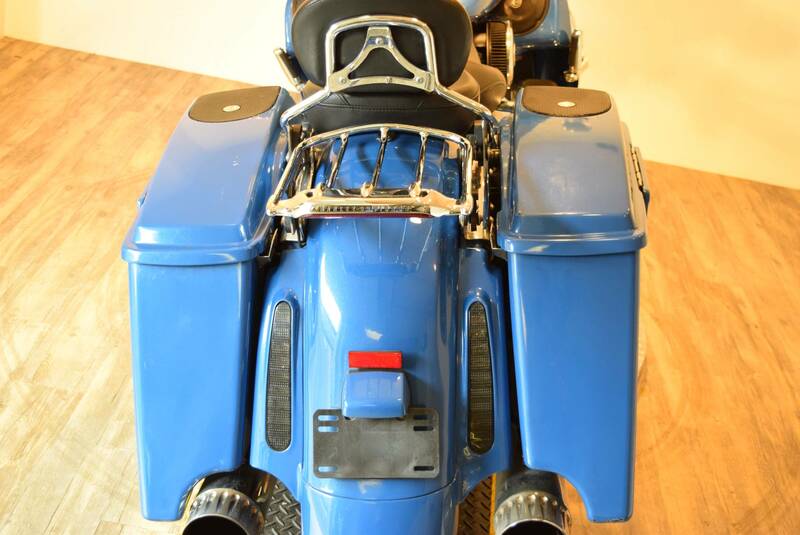 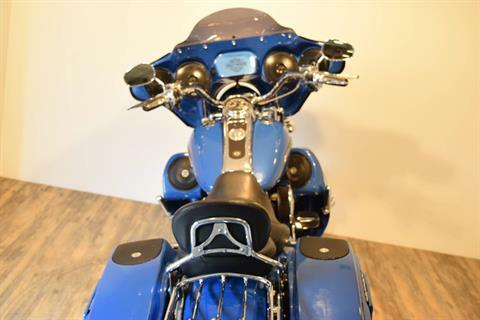 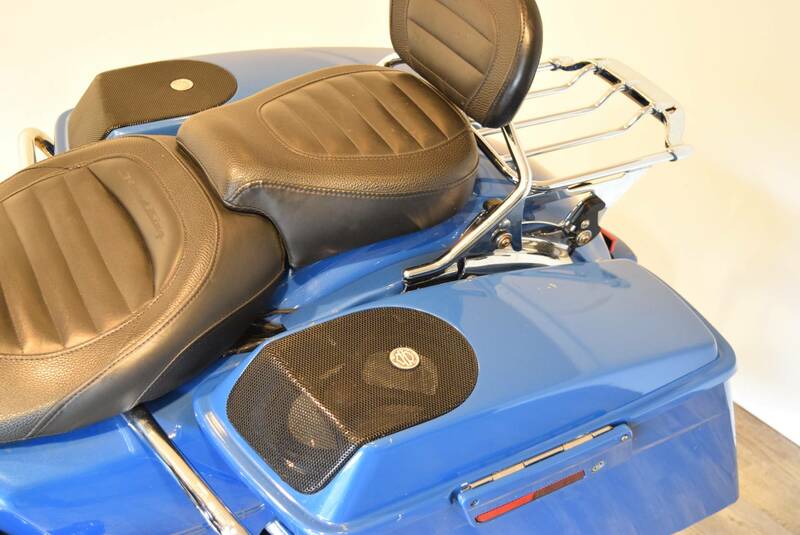 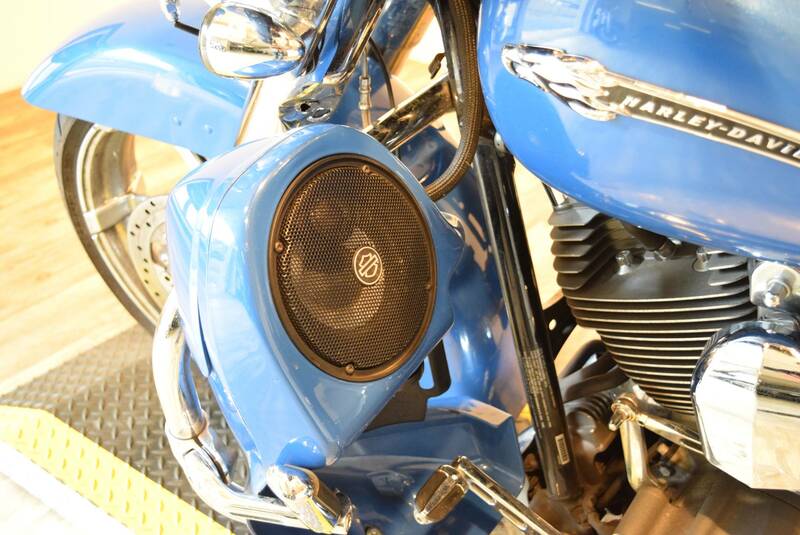 It packs a premium audio system that plays through speakers in the fairing lowers and saddlebag lids. 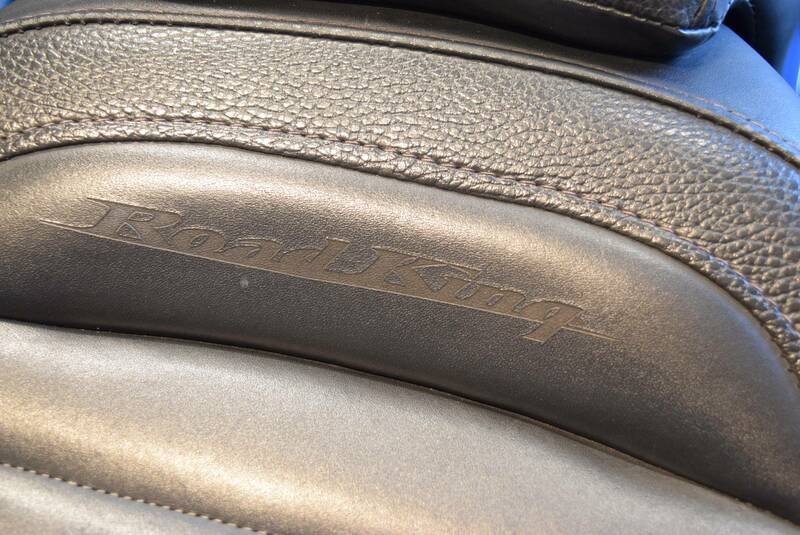 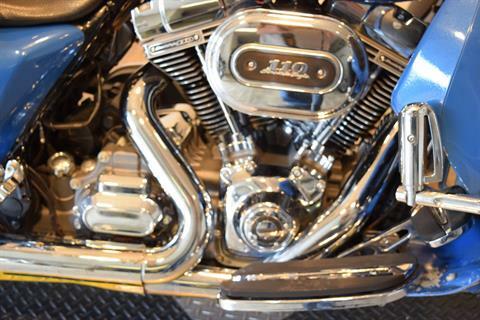 For 2013, the CVO Road King model comes in an even more limited availability, serialized 110th Anniversary Special Edition, featuring exclusive commemorative anniversary styling elements, premium features and finely forged finishes that make it a top-of-the-line model and a true work of motorcycle art. The FLHRSE5 Road King model CVO has a detachable short custom wind deflector that cuts the wind for more comfortable riding. The H-D® CVO Road King model offers custom extended saddlebags that add to the bike's premium touring capabilities, and custom-style agitator wheels that add to its bold boulevard style. 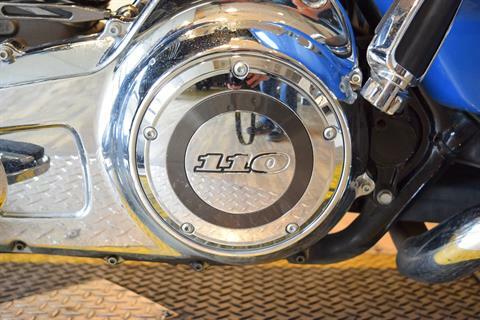 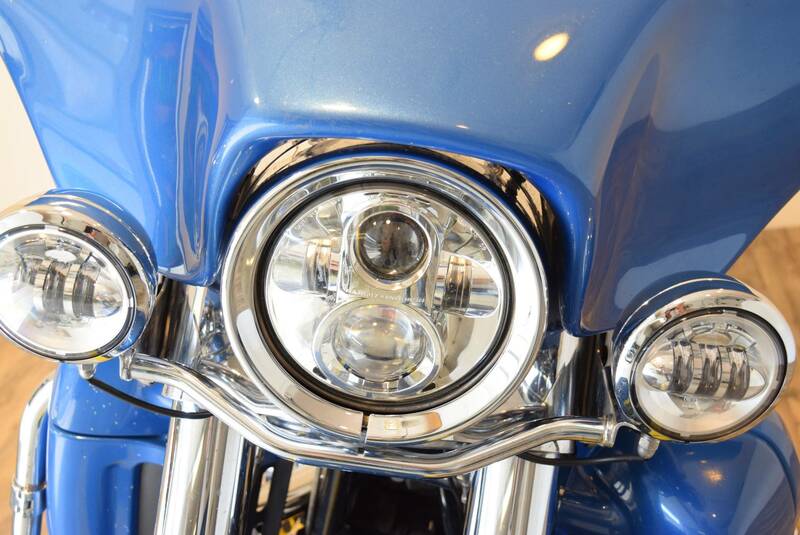 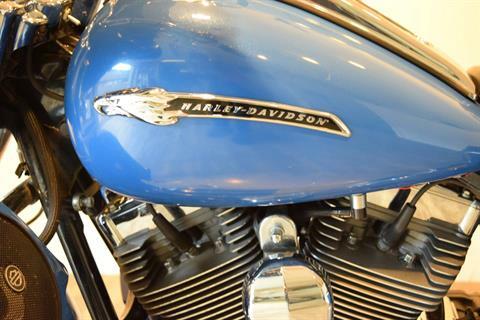 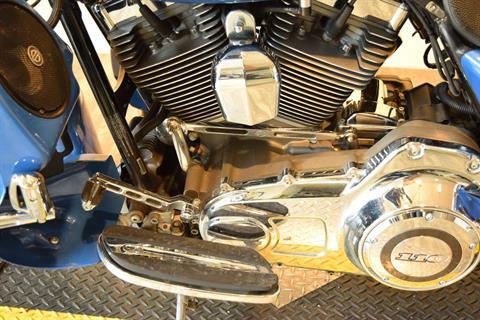 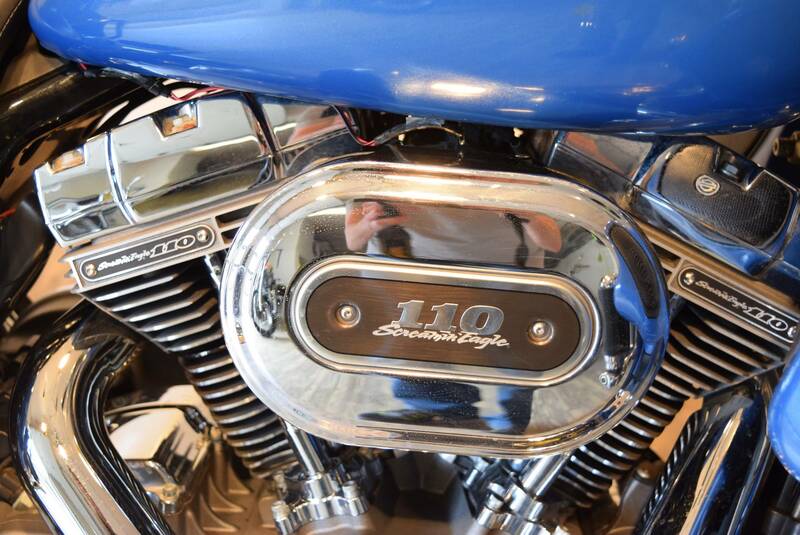 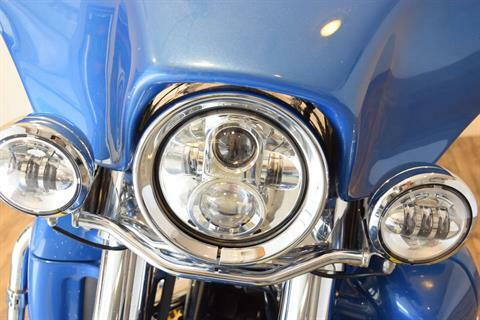 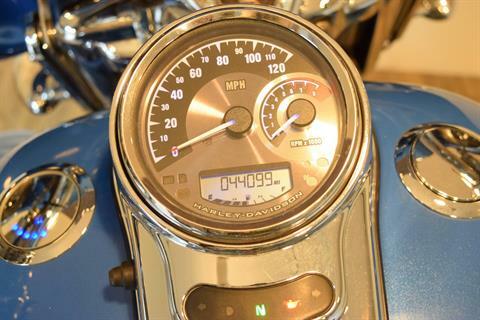 The Twin Cam 110™ engine with Screamin' Eagle® badges provides 110 ci of power, a low cruising rpm, and lots of low-end torque, along with silky smooth shifting of its 6-speed Cruise Drive® transmission. 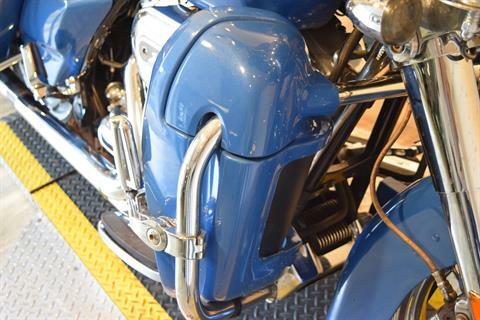 Chrome touring mufflers are a beautiful set of pipes that look great, sound impressive and keep rider and passenger safe from exhaust heat. 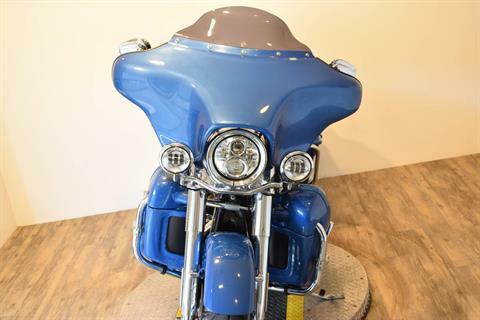 The 2-piece low profile saddle is available in solo or 2-rider configurations, in leather styling the makes a unique custom statement.